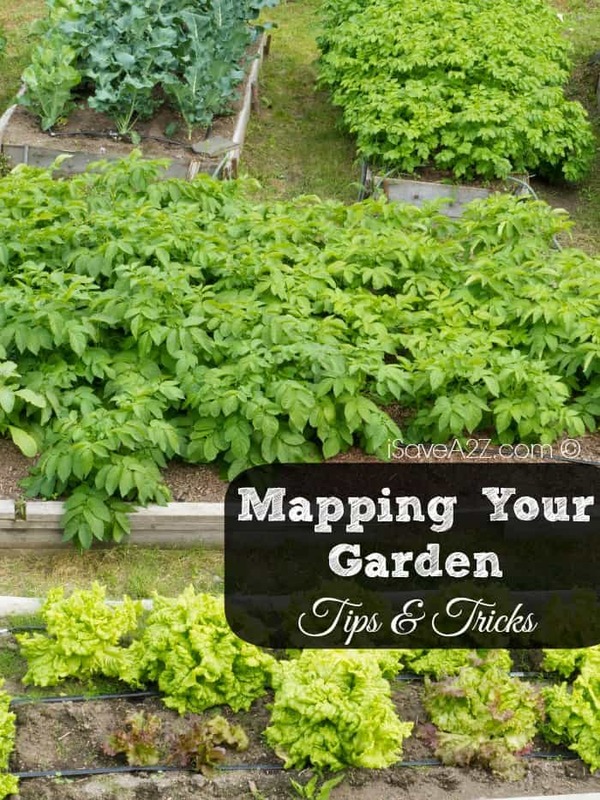 I’ve got a few tips for mapping out your garden! Designing a garden from scratch is the ideal situation for any gardener because it gives you the chance to add in the options that you want instead of working with what someone else’s vision of a good idea. With a little planning and know how you can design and map out your garden layout for this and every season. Being able to clearly see what you want to grow. Where you are going to grow it and know a little about the space that you have makes gardening so much easier and efficient. No matter how big or small the garden that you will be mapping is, use these tips to help you map out your garden this summer and design a space you’ll look forward to spending time in every day. In order to figure out what you can plant, you need to know what you have. Take stock of your garden space, the growing conditions and garden hardware that you have available to support the garden. If you’ve gardened in the same spot previous years, make note of what work best in what spot, what failed and what needed more or less room. In order to map out your garden, you have to have draw it out so that you can envision where you want each plant to go. This doesn’t have to be super specific, but it does need to have the general shape and size for the garden so that you can allot plants and garden implements into each are. You can reuse the garden diagram for multiple plantings throughout the growing season, using multiple plans to map out an early summer garden and then a late summer garden map. In order to make sure that you buy and order enough plants, seeds and achieve the look that you want, it is important that every bed in your garden is planned out. Whether you are trying to map out a large kitchen garden, a shade garden or full yard garden every individual bed needs planning. Sometimes garden beds have more of an impact when each bed or section of a bed contains just one variety of plant, visually and otherwise. Think about the gardens you’ve seen and liked, and try to include design elements that you can easily implement into one garden. One of the great things about gardening is there is always room for improvement, changes and surprises. Make sure that you leave some sections of the garden open for flower choices that you find as the season goes along. You never know when you are going to spot something you love, or come across a neighborhood plant sale that leaves you with flowers not on your garden map. Mapping out the garden when there is still snow on the ground is a great start, but in order to make the time spent mapping out your plans worth it you need to start shopping for the plants that you want early. Shop seed and plant catalogs or online stores, talk to local nurseries and greenhouses and find out what plants and varieties they are going to have available this summer, and when they bring out the plants that you are looking for. Shopping early ensures that you get the best pic of everything and are able to recreate your mapped out garden as much as possible.